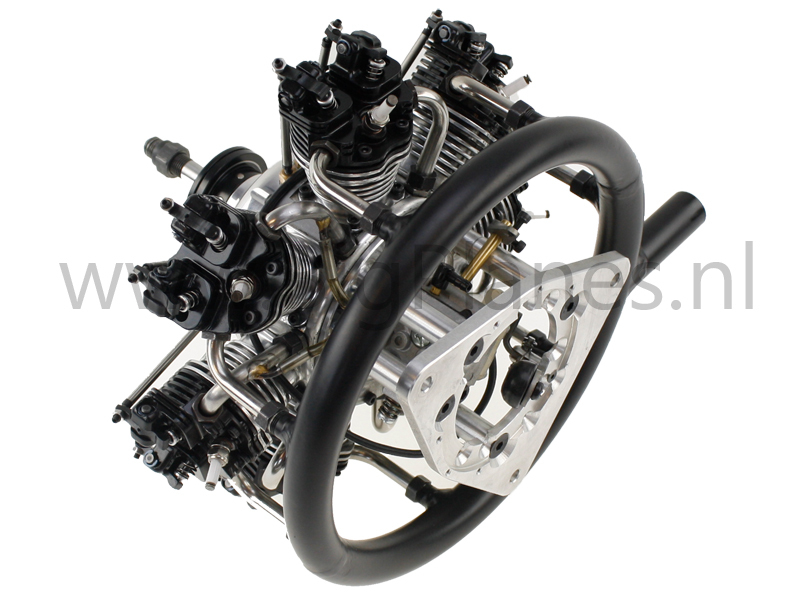 UMS 7-Cylinder 90cc 4-stroke Radial Gas Engine Including ring muffler. 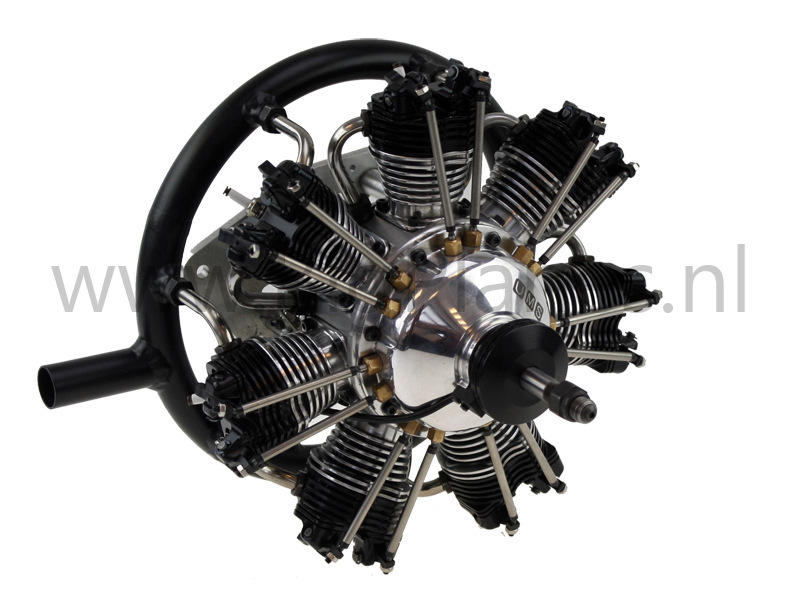 The UMS 7-90 is a very reliable radial engines which uses gas fuel. 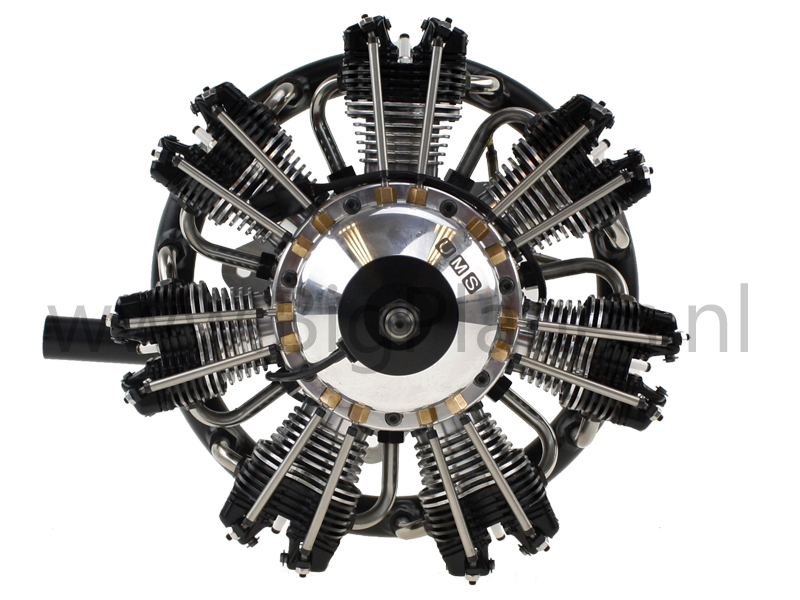 UMS has a lot of experience building radial engines. 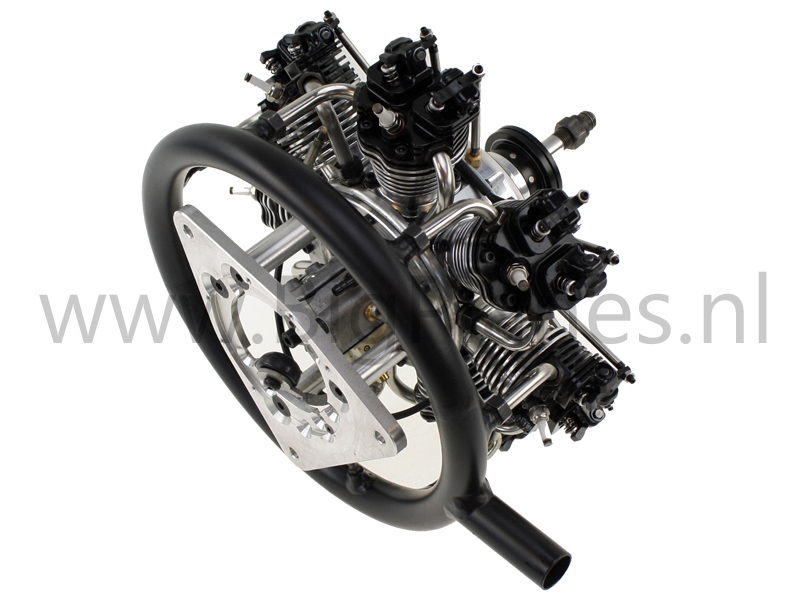 It has brought more than 2000 engines to market so far. 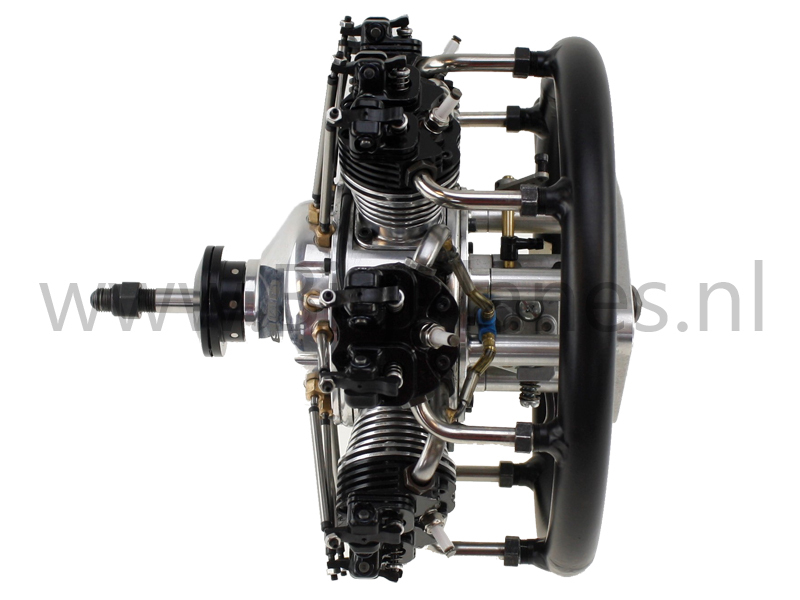 The design and construction are upper class leading to a outstanding realibility of these engines. 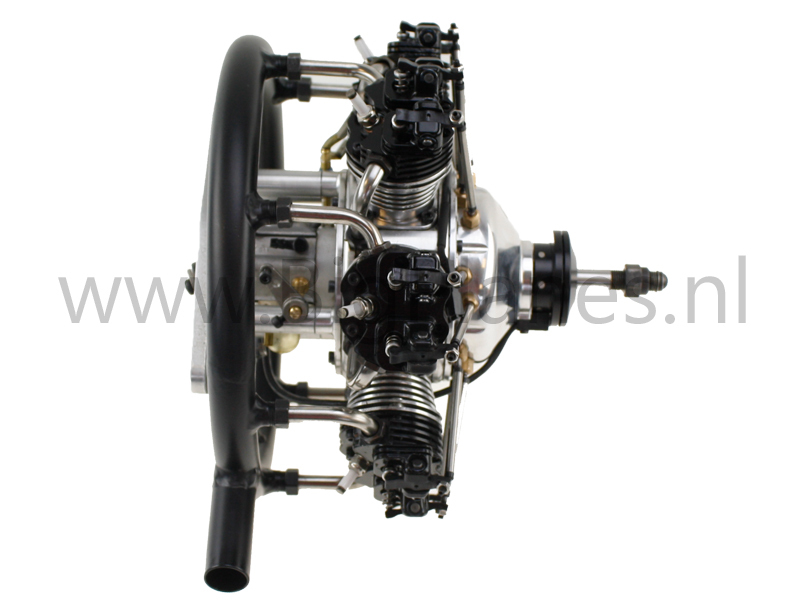 They are easily servicebale. 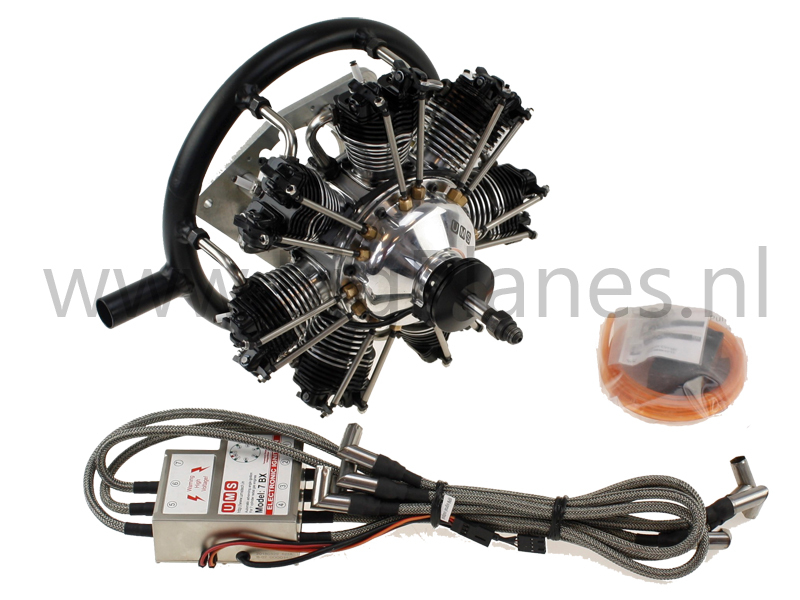 All critical parts are easily accessible. 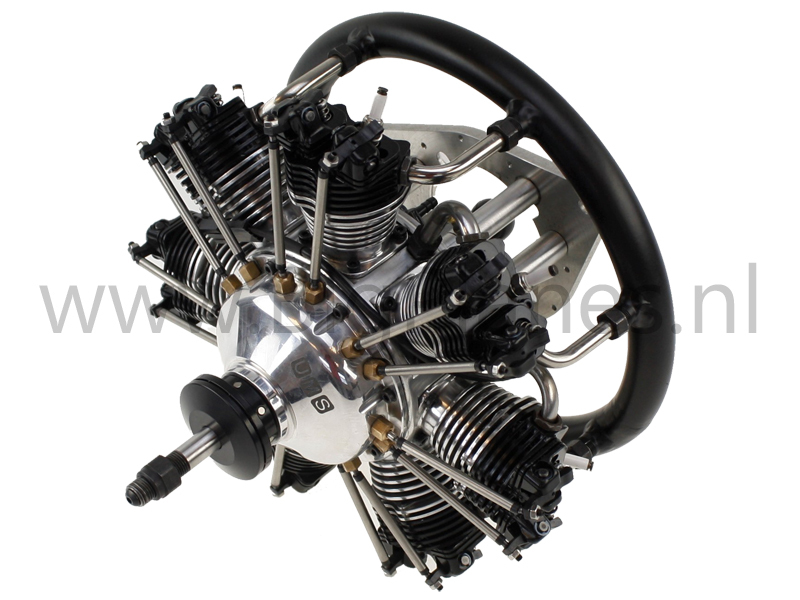 The UMS-7-90cc 4-stroke radial gas engine from UMS is especially developped for scale models. 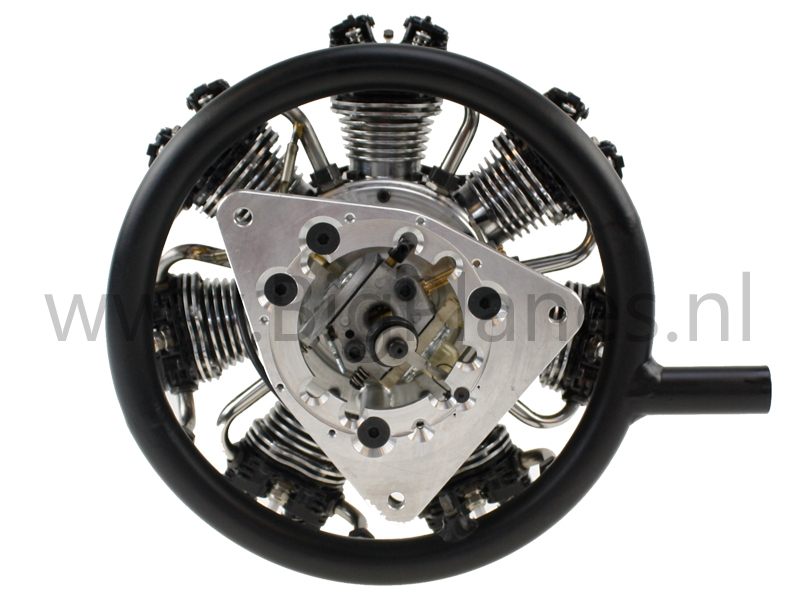 Diameter of the engine is 23 cm.